A Lovely Township With Lovely Lawns! Cascade, MI is a small township in Kent County, located about 10 miles southeast of Grand Rapids. 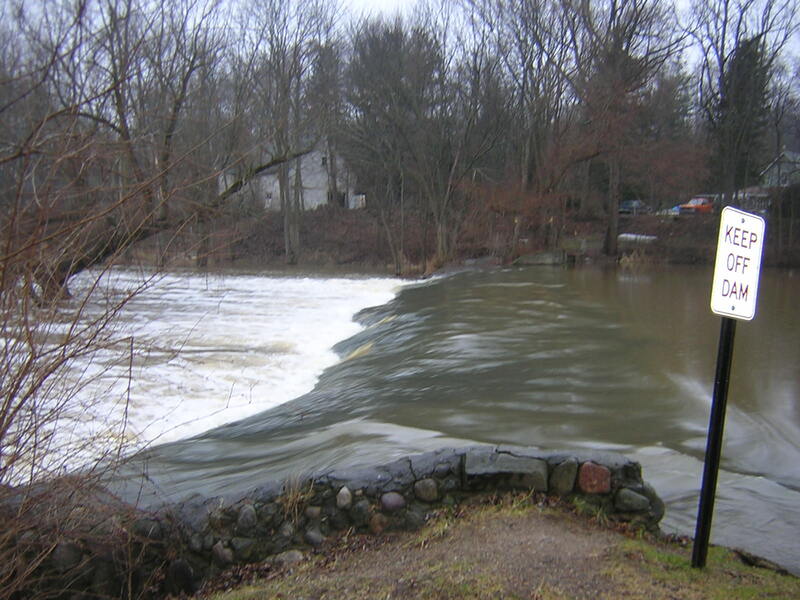 The township is divided into east and west halves by the Thornapple River. The river contains an active dam that produces hydroelectric power, which is environmentally friendly. Alternative Lawn Care is also environmentally friendly; in fact, our slogan is “Your Environmental Choice.” We are committed to providing you with the greenest products possible to give you the greenest lawn possible! Alternative Lawn Care offers a plethora of services to Cascade, MI, including lawn maintenance, perimeter pest control, landscaping, snow removal, edging, and more. We are a full service property maintenance company: if it’s outside, we can take care of it. Alternative Lawn Care first began servicing Cascade and surrounding areas in 1989 with our lawn fertilization services. We consider ourselves a leader in lawn fertilizer companies in Michigan with our commitment to customer service and customized programs. Customized lawn care and maintenance plans are our specialty. We carry various different types of fertilizer and equipment to offer a personal touch instead of a one-size-fits-all solution. Following a properly customized fertilization program can really make the difference in your lawn’s healthy and appearance. If you wish for a lush, green lawn with no effort on your part, let us do all the hard work for you! Keeping to a regular fertility schedule helps ensure that your lawn is better able to fight against the typical stresses that lawns face: insects, disease, drought, and heat. If your lawn receives a lot of traffic, it may be suffering from soil compaction. Soil compaction makes it difficult for the lawn to get the nutrients and water it needs due to runoff. The soil is so compacted that materials have a difficult time penetrating it and getting to the roots. Soil compaction can be remedied with aeration. Aeration is a wonderful service that relieves soil compaction and helps reduce thatch buildup. Thatch is dead and dying plant matter that gets stuck on top of your grass, depriving it of nutrients. Aeration combats soil compaction and thatch by putting holes in the soil. This can be either done with a core aerator, which pulls plugs out of the soil, or a spike aerator, which punches holes in the soil. Core aeration is vastly superior to spike aeration; in fact, spike aeration can often make compaction worse, since it’s not actually removing any soil. These holes in the soil help water, fertilizer, and air get down to your roots, providing for a healthier and thicker root system. Aeration is a great way to revitalize a tired lawn in Cascade, MI, improving aesthetics and health all at the same time. Core aeration is also often done prior to over seeding, as the holes create the perfect environment for seeds to germinate. Weeds are one of the biggest problems plaguing lawns every day. Especially during the spring when crabgrass and dandelions start to pop up, weeds can really ruin the aesthetic of a lawn. 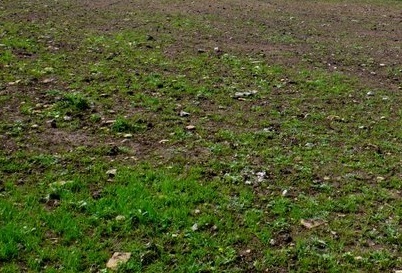 Weeds can also damage your lawn, crowding it out of nutrients and completely taking over the yard. Your first line of defense against weeds is a healthy lawn, which can be achieved with a proper fertilization, watering, and mowing schedule. Alternative Lawn Care offers fertilization and mowing, and our lawn care program in Cascade also includes weed control. Your lawn is guaranteed to be free of weeds. If you notice any problems, we will come out and spot-treat for weeds until they are all gone. The point in owning a lawn is to enjoy it; save yourself hours of pulling weeds and the frustration of staring at a lawn that’s been overtaken by weeds by hiring Alternative Lawn Care to service your lawn today. Pests are another problem that plague lawns in Cascade, MI. Beetles like to lay eggs in your lawn. These eggs hatch into grubs, which are C-shaped larvae that feed on the roots of the grass. By eating the roots, the grubs deprive the lawn of nutrition and it dies. You can tell if you have grubs by pulling up the grass and looking for them underneath. You may also suffer from grub infestation if your lawn has developed brown patches for seemingly no reason. Alternative Lawn Care offers grub control in Cascade, MI, eliminating existing grubs and preventing new ones. Our grub control application is done 2-4 times per year. We also offer perimeter pest control, protecting your home from bugs. This program involves us spraying 3ft up and 3ft out from your house, applying an invisible barrier that bugs can’t cross. It will help prevent spiders, centipedes, ants, fleas, ticks, and more from entering your home and disrupting your peace of mind. 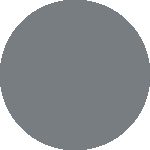 Our pest control technicians are all licensed with the 3A/3B core, and are highly trained and knowledgeable in the field. 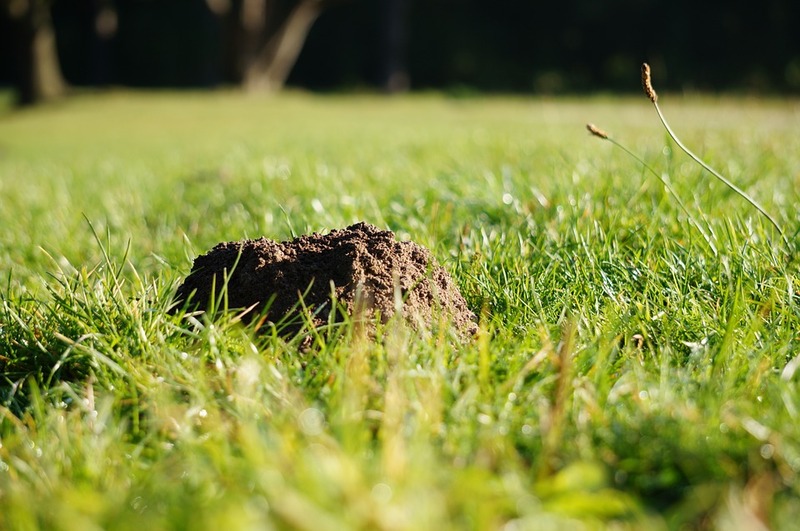 Moles can also tear up your lawn, and we can eliminate those as well. Grass isn’t the only element in a beautiful landscape. Trees and shrubs punctuate a well-put-together landscape, adding to its appeal. We offer a full service tree and shrub care program, including installation, pruning, fertilization, and insect and disease control. In addition to tree and shrub care, we also offer other landscaping services including patios, stone walls, waterfalls and other waterscaping, and even full renovations. If it’s outside, we service it. Increase your curb appeal and enjoy your home more than you ever thought possible by taking advantage of our landscaping services in Cascade, MI. Offering an environmentally friendly, green, and fully custom tailored lawn care program is our passion and our specialty. No longer will you have to search all over for tons of different companies to perform your property maintenance services in Cascade, MI. We are your one stop shop for all things outdoors. Call us today to take advantage of our perimeter pest control, grub control, mole control, lawn care, lawn maintenance, landscaping, and tree and shrub care programs today. With our satisfaction guarantee, you will be glad you did.